If you are thinking of having rhinoplasty, you may be asking yourself if there are any potential complications. The simple answer is yes, but they are rare. 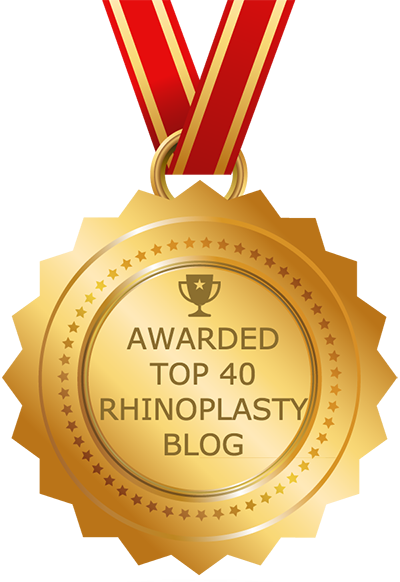 Some people may confuse the normal aftereffects of rhinoplasty for complications. Here we break it down for you so you know what is normal and what is an actual surgical complication. Following rhinoplasty it is normal to experience some bruising and swelling. The face will likely appear puffy around the nose for several days, and some patients may experience black eyes for a short period of time. Nausea is another normal aftereffect, as is stuffiness. None of these issues are cause for concern. Your rhinoplasty surgeon will provide you with postoperative instructions to help you through the recovery period. The surgeon may have you take approved decongestants and/or pain medications and will likely instruct you to use cold compresses for swelling. Some doctors also recommend arnica montana, a natural remedy that helps with swelling. You will need to keep your head elevated and stationary for a few days, and avoid any vigorous activity — especially contact sports — for a number of weeks. Most of the swelling will go down within a couple of weeks, but it may take up to a full year before it is gone. Again, this is a normal aftereffect of rhinoplasty, not a complication. While rare, a reaction to the anesthesia or medications administered before surgery is possible. The surgeon will place an airway tube in the throat make sure normal breathing resumes in the event of such complication. There are a couple of complications that can occur after the procedure, such as bleeding. Patients remain at the surgical facility for a couple of hours after the procedure so that medical staff can monitor them for such complications before releasing them to go home. In rare cases patients experience complications once they are already at home. These may include bleeding, extreme swelling, reaction to medication and trauma to the nose (e.g., from bumping into a wall. There are also potential complications after the recovery period, including infection, sun damage, nasal blockage, injury to the septum and skin-related issues. You can help prevent complications by following your surgeon’s postoperative instructions closely. Though some studies have shown that rhinoplasty can improve quality of life, others have found that it can produce negative emotional changes in some patients. Most people expend a lot of emotion in the process of deciding to undergo rhinoplasty. Just thinking about the day of surgery can be stressful. The recovery can also be marked by stress. Postoperative depression is fairly common after any surgery. The symptoms are similar to post-partum depression symptoms. Following recovery, the emotional effect of people staring can cause feelings of loneliness or even anger in some patients. Even positive results can have this effect if they are dramatic. Those with a predisposition to depression, anxiety, and other psychological conditions are more apt to experience emotional aftereffects of rhinoplasty. It is important to understand that emotional changes stemming from facial plastic surgery are normal. This is why most facial plastic surgeons provide patients with counseling before and after surgery, to help them achieve emotional happiness while their body achieves physical improvement. Because rhinoplasty is sometimes associated with emotional issues, it is important that candidates have realistic expectations. Rhinoplasty can improve the appearance of the nose, but it cannot totally transform every aspect of life. Facial plastic surgeons screen their potential patients to identify those that might be predisposed to emotional issues. While such issues don’t necessarily preclude a person from undergoing rhinoplasty, they may necessitate precautionary measures to ensure safety. To prevent injuring the nose following rhinoplasty, it is important that patients avoid activities that may lead to bumping the nose, including activities taking place in congested environments, as well as traveling and contact sports. Be careful around children and avoid vigorous exercise for four to six weeks. Should you sustain a nasal injury after your rhinoplasty procedure, contact your surgeon immediately. Most injuries will heal well on their own, especially if the surgeon can manually re-set the nose, but in some cases an additional surgery may need to be performed to treat a complex nasal fracture.